The CVV Number on a credit or debit card is a 3- digit number. It is developed for all the users of Visa, MasterCard and Discover branded debit and credit cards while American Express’ credit and debit cards contain a 4 digit CVV Number. The CVV is used to give the impression to an online merchant that you actually have the card in your possession. It helps users to be safe and to get protection from frauds and scams. 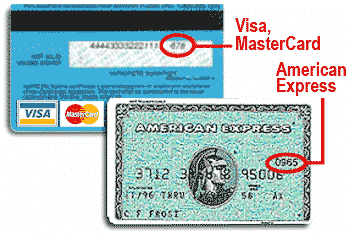 CVV refers to Card Verification Value. It is a three-digit card security code meant for security purpose of debit and credit cards while making financial transactions. CVV Number is used to provide enhanced protection to the users of debit and credit card against any fraud or theft. CVV Number is the last 3 digits of the number which is located at the back of credit and debit cards. Those 3 digits are the card security code which is different for every user. Remember that a CVV code is different from your PIN (Personal Identification Number). So keep in mind that you shouldn’t enter your PIN Number when you are asked for your CVV Number. PIN Numbers are used to withdraw money from an ATM using debit cards or while buying products in person using your debit card. It is also used while taking a cash advance using credit cards. On the other hand, the CVV is used while making online financial transactions. The CVV or CVV2 Number is generated by a specific bank from which you issue your card. The codes are determined by encrypting the card number of the bank and the expiry date with secret encryption keys that are known to the issuing bank only. You can generate a similar valid number by entering any 3 digits in your testing database. However, it will fail to pass any validation test if you try to use it for purchasing items or products at any store. CVV Numbers are also called CSC (Card Security Code) Numbers and CVV2 Numbers. The difference is that CVV2 is a better, improved and more secure version of CVV. While determining CVV, the algorithm is changed a bit along with the line to make the number more secure and safe. CVV2 Number is usually a difficult one to guess. How to Get CVV Number? Turn over your card and look at the signature box at the back of your debit or credit card. You will either see a full 16- digit card number or just a 4- digit number. The last 3 digit of either of these two is the CVV Number or the 3- digit security code. Check out the 4 digit code located at the front of your card. It is placed above and at the right of the main credit card number. This 4 digit code is the Card Identification Number (CID). The CID Number is the 4 digit code located above the Account Number. In case, you’re facing difficulty; follow this guide to correctly identify your CVV. So this is it about the CVV Number. Hope the article will help you to deal with any issue or query that you have regarding a CVV. 1 What is a CVV Number? 2 How to Generate a CVV or CVV2 Credit Card Number? 4 How to Get CVV Number?